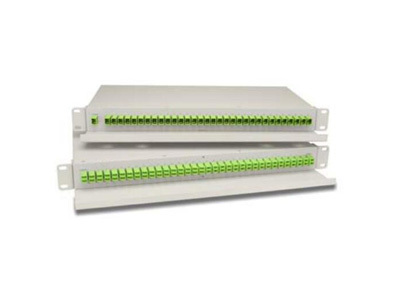 A new family of high performance fiber optic PLC Splitter (19” Rack Mount) Modules for today's high-port count applications that demand the best performance and the highest reliability under the most adverse of environments.These PLC splitter are widely used in the optical fiber market. AMINITE offers a new family of high performance fiber optic PLC Splitter (19” Rack Mount) Modules for today’s high-port count applications that demand the best performance and the highest reliability under the most adverse of environments. AMINITE’s PLC Splitter Modules deliver on all these requirements. 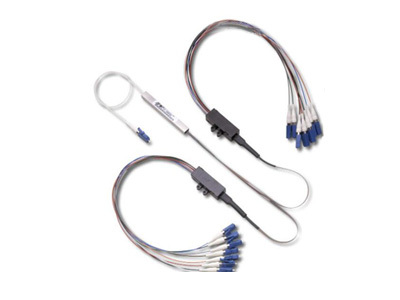 The PLC fiber optical Modules feature low insertion loss, low polarization dependent loss and high port uniformity. The PLC Splitter Modules are available in 8, 16, 32 or Two (1×32) channel configurations with SC or LC connector. Our OEM-friendly packaging provides the flexibility to meet the broadest design requirements. Planar lightwave circuit (PLC) splitter is a type of optical power management device that is fabricated using silica optical waveguide technology. It features small size, high reliability, wide operating wavelength range and good channel-to-channel uniformity, and is widely used in PON networks to realize optical signal power splitting. Aminite provides whole series of 1xN and 2xN splitter products t hat are tailored for specific applications. All products meet Telecordia-GR-1209-CORE and Telecordia GR-1221-CORE requirements. AMINITE’s fiber optic PLC Splitters reduce insertion loss and deliver high performance. These devices enable more effective monitoring and management of optical networks. They are available as components, in our quick connect cassettes, or in custom modules and rack mount designs. They are widely used in the optical fiber market. 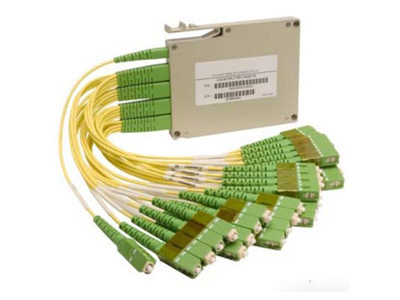 AMINITE's Fiber Optic PLC Splitter QuickPath Splitter Module is a new family of products designed to expand FTTH network functionality as well as cut installation time and costs in the field.these quickPath splitter module are widely used in the optical fiber market. AMINITE’s Fiber Optic PLC Splitters Standard perform superbly across temperature and wavelength providing low insertion loss,low input polarization sensitivity, excellent uniformity, and low return loss in 4-port, 8-port, 16-port and 32-port configurations.